Do you feel in your LIFE right now that there is no end in sight, and no Hope for change in the situations that are pressing down hard in your Life today? I can Truly relate to how your feeling, I have had some times in my Life where I thought I would never see the light at the end of the tunnel. There are so many people living today that are feeling completely “OVERWHELMED” with Life. You have to take the time to slow down and listen to your soul and your body, there are many things in your Life that you are doing or are going on around you that may be causing you undue stress. Since your Life is going at a such a fast pace , you don’t even think about the things that are causing it and you remain in that Stress state of life never actually considering that you just may have a Choice. Let’s go back for moment and and take a look at your Priorities in Life, that is a huge factor in your life and the Stress you endure on a day to day basis. Everyone is living in different seasons of their lives, so everyone’s priorities will be different to them. A huge cause off feeling overwhelmed and off balance is due to the fact that we are not living by our priorities. You may be living on Auto Pilot and just doing what is thrown at you or may be doing the things you are “supposed” to do imposed by families and or the culture around you. To regain some control in your life , you must determine what your priorities are at this point in your Life You have to think about the activities your doing in your day, and figure out if this is something you choose or something that has just become a habit , does or do these activities get you where you want to be in Life, are they aiming towards your Goal, or are they taking you away from your Goal for your Life? That right there is a Huge reason why you could be Overwhelmed and Stressed with Life, Your not running your Life with the Priorities that are most important to you in this season of your Life. It is time to do some real soul searching to determine what your priorities are in your life. 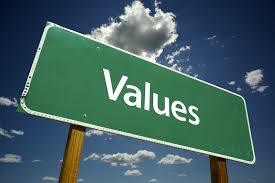 You need to pull your values list out as well and refer to it as you choose your priorities . Defining your priorities is an important step in balancing your Life. Here is a list of Values …..Pick about 20 of them, and then I will give you a list of Priorities that I would like you to put in order for for yourself to give you an accurate feeling of where you are in Life and what is most important to YOU right now in your Life. Pick out about 15 to 20 of these values that are most important to you and write them down. Now check 6 to 8 things that are most important to you at this point in your Life……..
Now you can add some of your own, please do your best and put them in order of importance, not all of them , maybe 6 to 8 of them, according to your own life. These few exercises will give you a start on what is most important to you in your life right now, which will help you when you have to make those list of to-do’s and what you really have to get done, which is what is next……What and Who is controlling your schedule and or To-Do List!!!! Now that you know what is most important to you right now in your life, it is time to line it up with what you are doing on a daily basis right now. 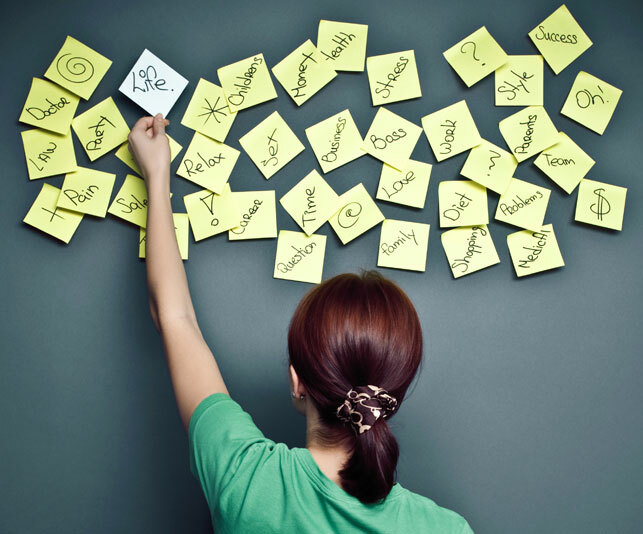 Most people use some kind of to-do list, so lets take a look at your list and calendar. The list of activities and appt. , did you make the choice to add them? Do you have your child signed up for an organized activity? Was that on your list of values or was quiet family evenings on your list of values? Were you looking for an activity that your kids could to together? An activity they could bond together with and teach them self respect , then you have chosen a great activity , one that is in line with your values and priorities. Then there are the responsibilities you have taken on without really thinking it over , and some of those are causing you overwhelm and stress, As a mom who has and is raising four children, you just can’t let them choose for themselves every activity that they want to do, or you will go completely crazy…..believe me!!! You have to say no, it may sound selfish but you have to stick with what lines up with your priorities as a family and those you want for you kids as well and learn to say no once in a while. As far as your to-do list goes, are you putting down all the activities or are you letting others just put things on your plate to do as well, have you become the go-to person for all those around you? I know I did, and it almost led me right into the hospital You can’t become everyone’s dumping ground. I was always one who wanted to help people out all the time , but after awhile it became too much and I just couldn’t keep up , I became Overwhelmed!!!! I had to learn to say ” I am sorry, that is something I am not going to be able to get to” It certainly helped my Life become less stressful . You have to learn to but the Shoulds in your life and daily activities. You may have things in your life right now because you feel that you should be doing them, Ask yourself “Why? Why should I be doing this. if the answer is in line with your values and priorities , then maybe they need to be on your to-do list, if not then you need to remove them immediately or put steps in place to remove it from you life. Do what is important to you. You need to gain balance in your life and to do that you need to gain balance and control over your to-do list. Start making conscious decisions about what you may be adding (or subtracting) from your Life.